Your dog is one of the most adored members of your family and it’s only natural that you would be focused on getting the best for it especially when it comes to food. Now, the regular dog foods are available within $0.05 cents an ounce but some of the top notch brands have come up with great canine foods, followed by expensive tags. The most expensive dog foods can reach beyond $0.25 per ounce. It’s not for nothing that the price looks costly here- in fact, the most expensive dog foods are usually the best ones that you can offer your dear pet. These are mostly meant for the small breed canines. You are getting top notch protein assurance here that will help in strong muscle development and body maintenance. A rich linoleic acid content ensures healthy skin & coat for your furry friend. This famous stew recipe for dogs comes in 4 delicious variations to pick from as per the taste of your pet. 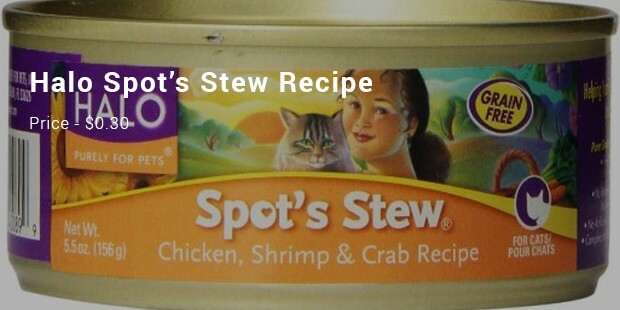 You will find the stew with wholesome lamb, wholesome beef, wholesome chicken & wholesome salmon recipes. All of them meet AAFCO regulations. Looks yummilicious, isn’t it? Well, the furry pals simply love it when they find a big bowl of real food containing big chicken chunks & delicious veggies wrapped in sumptuous sauce waiting for them. The food is made with an au-natural formula & there is no artificial preservative here. 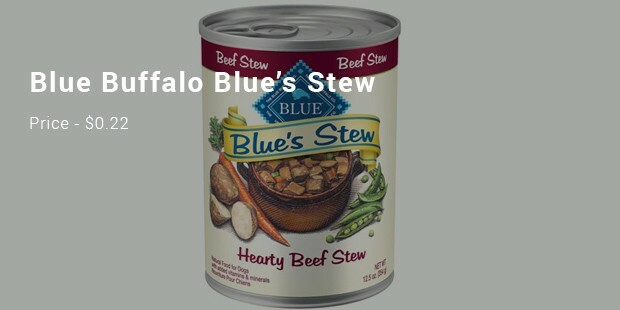 Made with ol’ fashioned goodness, the Blue’s Stew promises a hearty meal for your furry friend. The stew looks rich with sumptuous beef chunks, white peas, potatoes & diced carrots – that are altogether smothered in a savory thick gravy. There is no wheat. 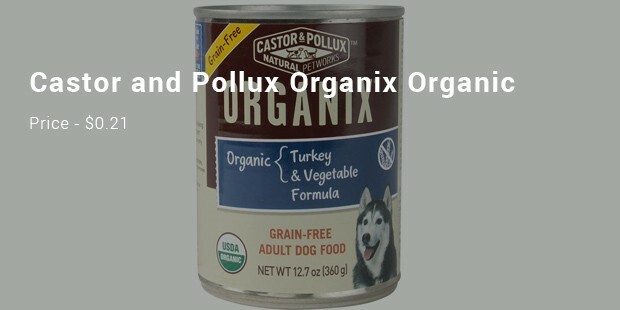 ORGANIX is the most complete line of the USDA certified organic foods for pets. Natural Ultramix uses real pieces of fruits and vegetables for dogs. 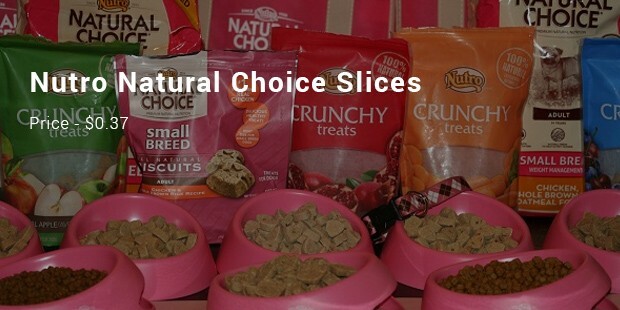 They believe that organic and natural are better and safe for the dogs. 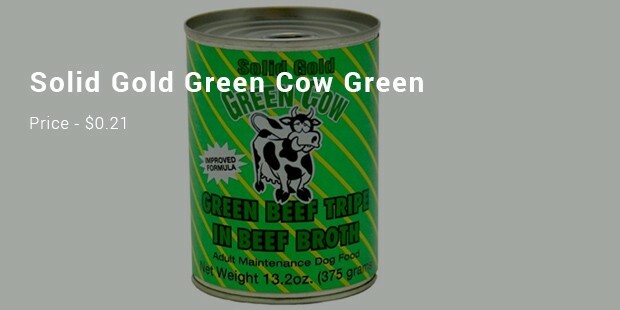 Solid Gold Green Cow Green Beef Tripe in Beef Broth Canned Dog Food, 13.2-oz, case of 12. Tripe is the stomach lining of the cow's fourth stomach, or abomassum. The abomassum is where the actual digestion of the grasses and grains the cow has ingested. Made with a mixture of lamb, brown rice, barley and other natural ingredients. Formulated to invoke appetite, this canned meal provides greater nutrition and vitamins essential for the growth of your pet. 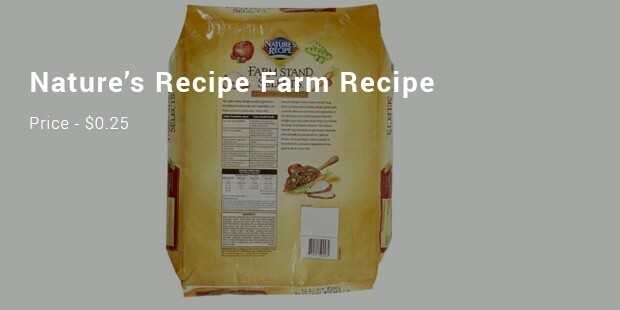 Perfect to feed alone or mix with dry food to improve palatability. Great for senior dogs with dental problems or for young puppies. Merrick has the ingredient and flavors that your dog will love. Merrick grain free dog food is made with real whole foods, which means it contains no fillers, by-products or artificial preservatives. A good nutrient dense product. Preservatives. All Eagle Pack Super Premium formulas are naturally preserved with mixed tocopherols, citric acid and rosemary extract. Holistic Select Adult Health Chicken Meal & Rice Recipe Dry Dog Food, * Digestive enzymes for total absorption of nutrients* Healthy fiber* Probiotics and prebiotics* Chicken as great source of protein* Omega fatty acids. 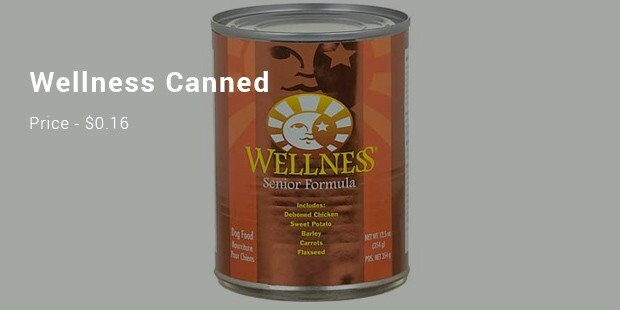 At Wellness , they do whatever it takes to create the healthiest foods for the pets that depend on us. Food feeds their souls, sustains their lives and protects their bodies. 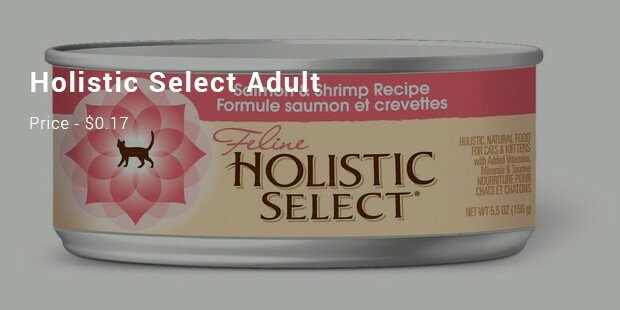 To help you provide your pet a healthy, happy, long life through the power of natural nutrition. We put in—a small number of simple, pure, authentic ingredients. 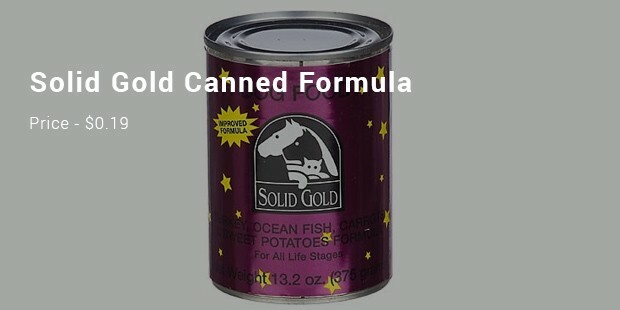 We believe this is the way to make superior food for our animals. The list here includes both wet & dry foods for your dogs. 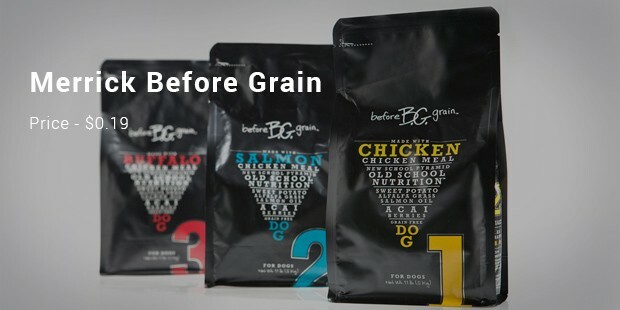 Yes, it’s an expensive roster no doubt but also assures premium quality meals that will further guarantee longer lifespan and a healthy disease-free life for your canine friend.